The Innocent Justice proudly presents our new trainers! Supervisory Special Agent Jessica Farnsworth has been a special agent with the Utah Attorney General’s Office since 1999 and currently serves as the Section Chief for the Internet Crimes Against Children Task Force (ICAC). SSA Farnsworth began working as a counselor for abused children in 1990. From 1995 to 1998 she worked with the Utah Division of Child and Family Services (DCFS) assigned to investigate child sexual abuse cases. She was hired by the Utah Attorney General’s office in 1998 as a forensic investigator to handle DCFS conflict of interest cases, including foster homes, group homes and DCFS employees. She became certified as a peace officer in 1999. She investigated primarily criminal cases involving children but also had the opportunity to investigate a variety of other crimes, including crimes against persons, child abductions, child homicides, child sexual exploitation, internet crimes, identity theft, white collar crime and closed society groups (polygamous sects). In 2007, SSA Farnsworth was tasked with creating, implementing and commanding a statewide Child Abduction Response Team (CART). SSA Farnsworth has provided assistance, training and consultation to various law enforcement agencies throughout the United States in child abuse investigations and is a frequent speaker on various child endangerment subjects. She has assisted various state and federal agencies on major task force operations, including undercover work on interstate drug trafficking, hate groups, internet crimes and identity theft. SSA Farnsworth was recognized by the U.S. Department of Justice in 2008 as the AMBER Alert Law Enforcement Officer of the Year. She has also been recognized as the Utah State Employee of the Year and the Utah Attorney General’s Office Employee of the Year. SSA Farnsworth received a bachelor’s degree from Brigham Young University and has done post-graduate work at Brigham Young University and the University of Utah. 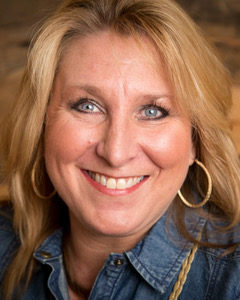 Dr. Stacy McKenzie, CMHC, NCC is the Clinical Director of Clearview Counseling & Assessment, Inc., a clinical mental health center that focuses on the resolution of trauma in all individuals. Over the past 15 years, she has had the opportunity to work with adults, children, and families in many different areas. These areas include working with substance abuse, health management and promotion, crisis intervention and in evaluation and treatment of juvenile offenders. 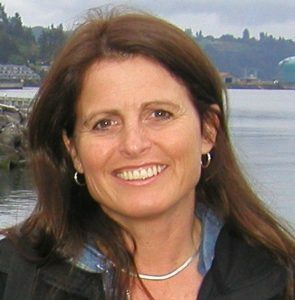 Her varied experiences have provided her with unique insight into the difficult situations faced by first responders (police officers and firefighters). Currently, Dr. McKenzie has had the privilege of working with the Utah Attorney General’s ICAC task force in the development of their Officer Wellness Program. She has been trained in Trauma-Focused Treatment/Therapy and is certified as an EMDR therapist/practitioner. Dr. McKenzie is a member of the International Association of Trauma Professionals (IATP); a National Certified Counselor (NCC) and a member of the American Counseling Association(ACA)/Utah Mental Health Counselor Association (UMHCA). Lt. Matthew Kail is the Commander of the Maryland State Police Technical Investigation Section. He received a Bachelor of Science degree in Management Studies from the University of Maryland University College with a minor in Criminal Justice. He has been a Maryland State Trooper for 20 years and Commander of the Technical Investigation Section since 2014. Prior to this current assignment, he was the barrack commander of the Maryland State Police Barrack “D” Bel Air. As a criminal investigator, Lt. Kail spent a majority of his career assigned to the FBI Baltimore Field Office investigating cyber-crime with an emphasis on child exploitation investigations.